Nothing beats floral prints this summer. 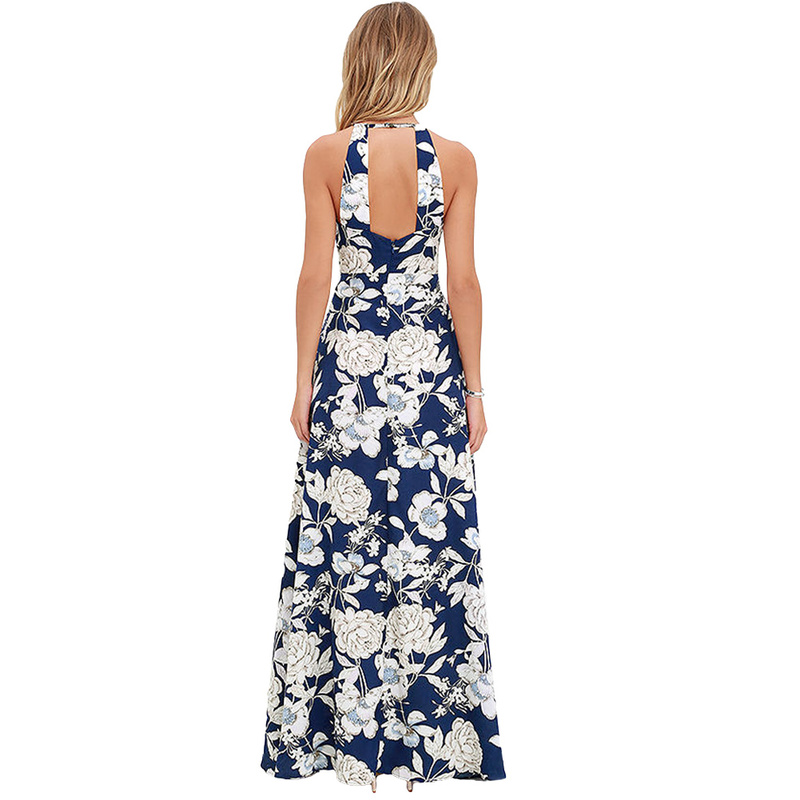 It couldn't get better if its an off- shoulder vintage maxi dress with round neck and a revealing back opening. Go with a jane look as you put this dress on to hangout with friends. Asian Size: S Bust:89cm/35.03" Length:130cm/51.18" Waist:73cm/28.74"
Asian Size: M Bust:95cm/37.4" Length:130cm/51.18" Waist:79cm/3.10"
Asian Size: L Bust:101cm/39.76" Length:130cm/51.18" Waist:85cm/33.46"
Asian Size: XL Bust:107cm/42.12" Length:130cm/51.18" Waist:91cm/35.82"